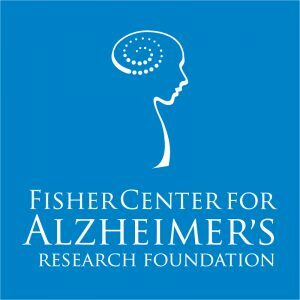 New York, New York 8/19/2015 – Today, the Fisher Center for Alzheimer’s Research Foundation is proud to announce they have funded a significant new finding through research conducted by Fisher Center scientists at The Rockefeller University in an effort to find a cure for Alzheimer’s. As published in the scientific journal Nature Medicine, Fisher Center scientists at The Rockefeller University in New York City identified a series of naturally occurring molecular steps – known as a pathway – that can decrease the production of beta amyloid, which contributes to the memory loss, and other symptoms that patients with Alzheimer’s often suffer from. The discovery centers around a protein called WAVE 1, which the scientists found to be important in the production of beta amyloid. The reduction of WAVE 1 appears to have a protective effect against the disease. Led by President and CEO, Kent L. Karosen, the Foundation was established in 1995 by Zachary Fisher to primarily fund the work of the scientists at the Fisher Center for Alzheimer’s Research at The Rockefeller University. The Foundation has received the exceptional 4-Star rating from Charity Navigator for the fourth consecutive year. "[…] NEW YORK, Aug. 19, 2015 /PRNewswire-USNewswire/ — Today, the Fisher Center for Alzheimer’s Research Foundation is proud to announce they have funded a significant new finding through research conducted by Fisher Center scientists at The Rockefeller University in an effort to find a cure for Alzheimer’s. read more […]". "[…] via Fisher Center Scientists Identify Protective Molecule That Could Lead to New Class of Alzheimer’s …. […]".